Ski at one of the best sites of the 2002 Winter Olympics! Located within walking distance from the mid-mountain lifts on the world-class Deer Valley Ski Resort. Great Room and Kitchen just completed total update. This non-smoking, two-bedroom, Enclave Townhouse covers 1700 square feet with no other unit above or below. The Townhome has spectacular views of upper Deer Valley and Park City Ski resorts. Brand new power blinds on the five large windows in the great room increase the views significantly. New remodel of Kitchen and Great Room includes new wood floors. Enjoy the vistas from large decks off the living area and master bedroom. There is a king-size bed in the master bedroom; bunk beds and a trundle bed in the second bedroom. TV's with cable connection provided in living room and both bedrooms. High definition TVs in living room and master bedroom. The condominium features a full-size kitchen with granite countertops, new dishwasher, new stove/oven, new microwave, new large fridge, and garbage compactor. New laundry room with new washer and dryer. After a long day of skiing, a private outdoor hot tub with outstanding views of upper Deer Valley & Park City will soothe those tired muscles. Just a five-minute walk to the world-renown Stein Eriksen Lodge where you can enjoy a full-service spa offering massage, body treatment, and facials. What a fantastic location! Very convenient access to Silver Lakes Lodge and the town shuttle stop right across the street. The condo was very comfortable for a family of 4, and we could not soak up enough of the stunning views. This was a perfect place to take the girls skiing for the first time, and we loved every moment. We would highly recommend, and we certainly hope to make a return visit! Thanks for the positive comments. We are very happy that we played a small role in building a wonderful experience for your kids. Great place. Great location. My family enjoyed the skiing and views. Convenient location. Excellent accommodations. Helpful check in and host. Glad you enjoyed your trip. Thanks for taking the time to write a review. Great unit, loved the location and spectacular views. Mountainside location with outstanding views. Tastefully decorated and well taken care of. Perfect getaway for vacation skiing, relaxation and quiet. Very responsive owners and local management service. Just what we were looking for, and we booked it again before we left! Thank you for the nice review. We always want our guests to have a great Deer Valley/Park City experience. We have been coming to Deer Valley for almost ten years and this was our first time staying at the Enclave. We absolutely loved it! Very spacious for our family of four giving us all plenty of room to spread out. Thoroughly enjoyed the wood burning fireplace every night. The condo was very clean and offered everything that you could possibly need during your stay. Short walk to the slopes, Silver Lake restaurants and shops. Very easy drive to Main Street and Park City grocery stores, liquor store, etc. Thanks for a great week! Thank you, we love to hear that others love our ski getaway Townhome. 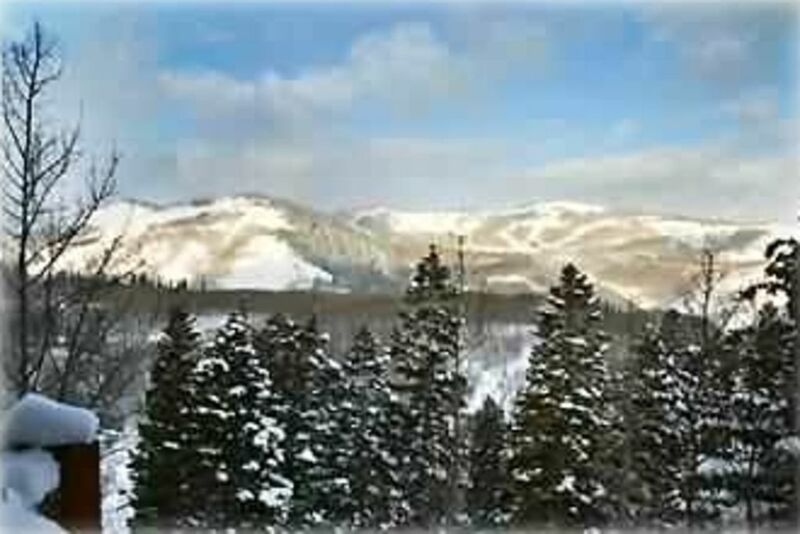 Wonderful 2 BR condo with beautiful views of the mountains from LR and MBR. Convenient to Silver Lake lodge and Stein Eriksen Lodge for skiing and dining. Overall great place for a fun holiday. Fantastic views and a great location! We had the best experience! The house was in the best location and the views were stunning! Such a great place to stay! We loved every second of it! We are glad you enjoyed our newly remodeled Townhome.